Servicing Panora, Guthrie County and the surrounding communities. Boxes To Go services is your one-stop local destination. Providing a number of services including dumpster rental, recycling, demolition and more. Your satisfaction is guaranteed with us! 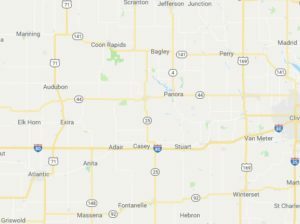 Located in the Panora aria we service the greater Guthrie County and surrounding area including; Lake Panorama, Yale, Bayard, Rippey, Berkeley, Perry, Minburn, Dallas Center, Grimes, Cooper, Dawson, Jamaica, Bagley, Guthrie Center, Dale, Glendon, Dexter, Stuart, Menlo, Casey, Adair, Wichita, Linden, Redfield and many more on request. Get in touch with us today and let us provide you with a free estimate of services. Just call 515-491-2227 or check out our contact page for more options. Boxes To Go is your one-stop local destination. Providing a number of services including dumpster rental, recycling, demolition and more. Rent our dumpsters for estate cleanouts and more. Your satisfaction is guaranteed with us!